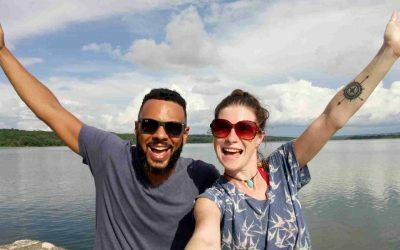 Have you ever wondered how on earth we afford to travel the world full time? What our favourite country we’ve ever visited is? Or how the hell we spend most of our time together without strangling one another? Having a public travel blog means that we open ourselves and our lifestyle up to tens of thousands of people who we don’t know and are never likely to meet. One of the most interesting aspects of that for us is the range of questions we get asked. There are a number that people pose to us on a regular basis, so we wanted to put together a post that attempts to resolve them all in one go. 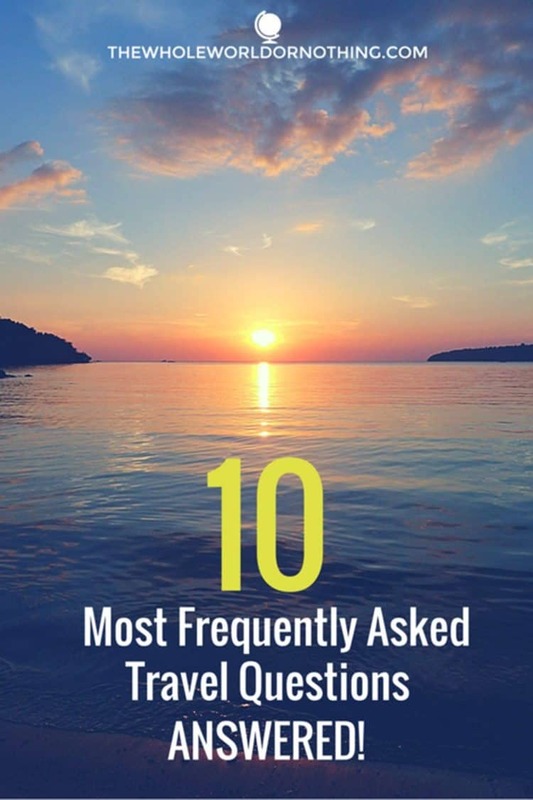 Here are our 10 most frequently asked travel questions – answered! We now work completely online, and I guess that though we’re not fans of the term, we’re what you’d call “digital nomads”. It’s crazy to think that just 10 years ago it wouldn’t really have been possible to make money in this way, but now there are millions of people who are cottoning on to the fact that it’s possible to. 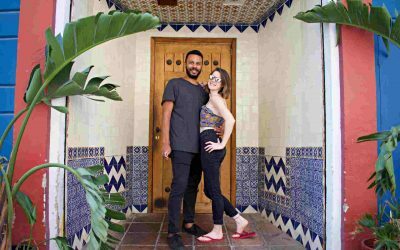 OK, we’re not making a fortune, but we’re making enough to travel the world on a comfortable budget, see and do things that we never thought possible and even put away some savings at the same time. What more do you need? The majority of our income is from freelance writing, most of it for online travel publications, but including things as varied as construction and interior design. We also do some social media management which means managing aspects of other people’s Twitter, Facebook, Pinterest and Instagram accounts. On top of that we make a small amount of money directly through the blog, most of this is from working with businesses whose products and services we use and love. Some also comes from affiliate sales, which is where we recommend products that we use to our readers and earn a small commission, without you having to pay any extra. What are you Going to do When you Have Kids? First of all, this one is a bit presumptuous! I always find it interesting that people who aren’t our very closest friends feel it’s acceptable to ask this question. What if we didn’t want kids? What if we couldn’t have kids? What if we were trying for kids and were having difficulty? Though we’re actually fine with the question and it doesn’t bother us in the slightest, there are so many scenarios where it could potentially cause upset or offence. We think the reason we’re asked it a lot is because it’s generally what’s expected of us at the age we are and the stage of life we’re at. Get married, buy a house, settle down, have kids. That’s the norm and that’s what most of our friends are doing and loving it. Great for them, not for us right now. We’re not judgemental about other people’s choices so would appreciate the same courtesy. We haven’t come across a country yet that we didn’t like, and we’re pretty certain that this will never happen. Even if we don’t connect with some destinations as much as others, it’s pretty much impossible to dismiss an entire nation based on the limited experiences had whilst travelling through it. Having said that, there are definitely places that have stood out from others. We actually have different favourites and for very differing reasons. Sarah absolutely fell in love with Colombia and would go back there anytime at the drop of a hat. 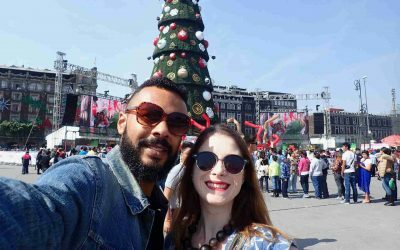 The huge diversity, the laid back attitude, the delicious cuisine, the cool music, the great weather and the Caribbean coast made her feel like it is somewhere she could make her home. Myself, I loved China. Not because it’s somewhere that I’d particularly like to live, although I definitely could, but more because it’s just so completely different to everything I’ve ever experienced. To me it’s quite simply the most fascinating place I’ve ever been. What is the Weirdest Thing You’ve Eaten on Your Travels? We’re pretty adventurous when it comes to food and are generally willing to try anything once. It means we’ve tasted some interesting things that would never have ended up on our plates at home. We’ve eaten barbecued frogs, stewed rabbit, buckets of crayfish, and dishes so spicy that our mouths were numb for hours. In Thailand and Cambodia we’ve tried tarantula (tasted like fried chicken), cockroaches (not our favourite but that may be psychological), grasshoppers (surprisingly good thanks to their crispy texture) and silkworms (they pop in your mouth releasing a sour tasting liquid). By far the weirdest thing we’ve eaten was a meal at a hot pot restaurant in Chengdu, China. We asked our waiter to bring us a selection of his choice and ended up with goose intestine, congealed pigs blood, chrysanthemum flowers and various other bits of offal that we couldn’t identify. How do I do What you do? Someone asked me this question recently whilst I was in a rush to get somewhere, and I blithely answered “We just packed our bags and went”. As soon as it left my mouth I regretted saying it and it’s one of the most unhelpful things I think I’ve ever said. I didn’t even really qualify what the person asking the question meant – were they asking how to travel long term? Were they asking how to make money on the go? Were they asking how to quit their job without feeling like they were throwing away everything they’d worked for? I suspect it was a bit of all of those things. We planned for ages before we took the plunge and began travelling. It took us over 6 months to realise we could make money from our blog. It took us a further 6 months to commit fully to doing it. It took us 6 months more to start earning an income that could sustain us anywhere in the world. Big life changes should absolutely not be approached with a flippant attitude, it takes planning, dedication and a real desire to step away from the comfortable existence you probably enjoy at the moment. What’s the Hardest Part of Travelling Long Term? Lots of travellers suffer from burnout after years of moving around and really crave the routine and stability that comes with sticking around in one place. Though we’re aware it’s something that might happen to us in the future, we’re certainly nowhere near that point at the moment. For us, the hardest part of travelling long term is missing important events that make the distance seem massive. It’s something that you just have to try and make peace with in order to do what we do. We’ve missed the birth of our nephew, the weddings of some of our very closest friends, birthdays, anniversaries, the list goes on. It’s something that really doesn’t get any easier with time. How do you Cope Living out of a Backpack? We love it! Initially we found it really restrictive and had serious issues trying to decide what to take, and then to fit it all into a backpack. Fortunately two things have happened that have made it a lot easier the more we’ve travelled. Firstly, we realised that we simply don’t need the vast majority of STUFF that we thought we did. We’ve gone from having huge wardrobes of clothes that we never wore to having a small selection of clothes that we love and wear until they’re too threadbare to carry on. Secondly, we’ve become expert packers which means we no longer have to fight with our backpacks every time we decide to move location. We use packing cubes which we were sceptical of at first, but now couldn’t cope without, if you don’t have them, trust us they will revolutionise your packing. We also have awesome bags which are spacious and well designed allowing us to travel carry on only and saving us checking fees and time at the airport waiting around for the baggage conveyor belt in the process. We now find living out of a backpack liberating rather than restrictive. We’ve made amazing friends on the road, people who we have genuinely connected with and care about and know we’ll stay in contact with for life. But we’re fortunate enough to have incredible families and a great group of friends at home who we miss deeply when we’re away. The internet is a wonderful thing and makes it incredibly easy to stay in touch with friends and family via Whatsapp, Facebook, email, Skype or even our blog. But despite this, it’s just different to being in the same room as your loved ones. Other things we miss are cheese, Marmite, roast dinners and a good cup of tea. Come on, we’re British! How do you Choose Where You’re Going Next? We’re obsessed with travel and exploring new places so naturally we spend a lot of time reading about it, watching stuff on it and talking with people about it. We don’t have a bucket list or physical list of places that we want to visit, more a revolving door of ideas around where to go next. Sometimes we’ll have an idea of an activity we want to do which will take us to a different country, like the West Highland Way walk we undertook in Scotland. Other times people will invite us to visit a place, like when our friend Pierre asked us to come to Lidköping in Sweden. Most of the time we’ll have a feeling about somewhere from the stuff that we’ve read, heard and seen and just make up our minds that that’s the next place. We’re now experts at booking cheap flights and finding affordable accommodation, and we live as simply and as cheaply as possible eating local food and getting around by using public transport or walking. Because we work online we have to be sure that there is WIFI in whatever destination we’re heading to, but that’s really the only restriction we have. How do you Manage to Spend so Much Time Together? This question makes us laugh, particularly as it usually comes from other couples who tell us that there’s no way they could spend 24 hours a day with each other for weeks on end. The truth is we don’t have any difficulties at all, and feel that travelling together has only served to strengthen our relationship rather than causing any trouble. We are also constantly meeting lots of new people, so though we’re together more often than not it’s not always just the two of us alone. We generally enjoy doing the same activities, but on the rare occasions where we have different things we want to do, we just go and do them individually! 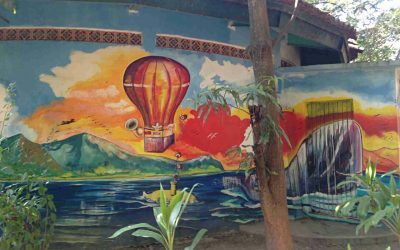 In Cambodia, Sarah wanted to go on a yoga retreat which isn’t really up my street, so I went and travelled around some islands on my own – no big deal. 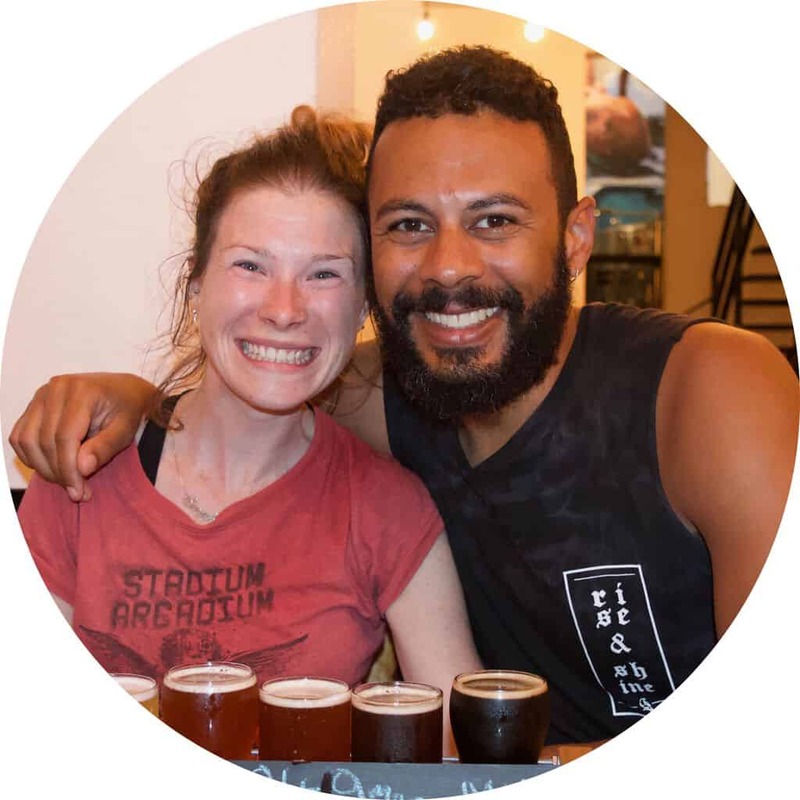 We have also fallen into different roles, for example I’m in charge of booking all of our transport and accommodation, whereas Sarah generally finds things for us to do and places to visit on a day to day basis. It’s not always smooth sailing and there are definitely times when things can become a little strained, but that’s usually down to outside factors. We try and communicate as much as possible and regularly “check in” with the other to make sure we’re both OK. Ultimately we both recognise that it takes work to stay harmonious so we try and make the effort to resolve any issues as soon as possible rather than letting them fester. Got a question we’ve not answered here? Drop us a comment below and we’ll do our best to answer! We’ve definitely got some grey hairs during the process but we are now self taught website developers and so proud to share our new website redesign. Since our travel savings fund ran out we’ve taught ourselves how to make money online, from anywhere in world. Find out how here. So many new foods to sample, exciting nights out to be enjoyed, and no regular gym membership. Looking after your well-being while travelling can be a challenge, here’s how we started our journey towards a healthy lifestyle. 2017 has been an incredible year for us. The stuff of dreams in fact. Read about our journey of how we started the year at home in England with no jobs and our savings spent, to ringing in the new year in Mexico having been here for 7 months and visited a total of five countries in-between.